3. 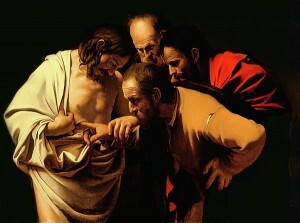 The author of Acts reports several trial scenes to establish that the Apostles were reasonable men of good character. This was simply part and parcel of their mission to spread the Gospel. 4. 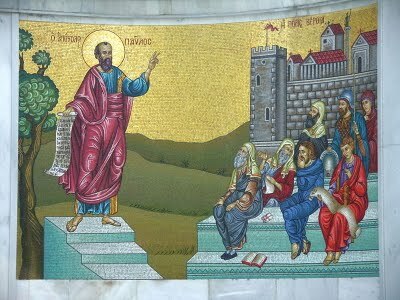 The Church was commanded to preach, but it was also instructed to persuade: Paul is often described as “reasoning” (dialegomai) with unbelievers. 5. One objection to apologetics runs as follows: “Only God can effectively call someone to faith”. But how does God call us? Typically, through his word; and it is astonishing how often God’s word reasons with unbelief. 6. For example Paul opens his chief theological statement, the book of Romans, with a critique of idolatry and polytheism. The creator’s eternal power is revealed through the natural world; the author of this creation must be far greater than anything in the created realm. Yet, even though everyone instinctively searches for God, pagans worship with pieces of wood and stone. This is foolishness, for they should know that something even more beautiful lies behind the beauty of nature. 7. Paul makes a similar argument to the Athenians in Acts 17. The ‘world and everything in it’ reflects the power of one creator. If everything in this world depends on a creator, then it follows that the creator cannot depend on anything in nature. These arguments would have been familiar to the Stoic and Epicurean philosophers of Athens. They might even have been sympathetic to Paul’s argument that because all men searched for the same thing, it was more reasonable to believe in one creator. Creation, after all, testified to one designer and one providential plan. 9. The point that Paul makes in the first two chapters of 1 Corinthians is not that non-believers cannot comprehend the internal logic of the gospel but that they refuse to accept it because it does not fit with their preconceived beliefs. Their worldview does not allow for the logic of the cross and so they reject it outright. It is not that they cannot understand the gospel but that they will not accept it (the Greek word dekomai, translated ‘accept’ in 1 Corinthians 2:14, literally means ‘welcome’). Underlying this rejection is, of course, a spiritual problem. Everyone needs to be enlightened by the Spirit of God, but Scripture consistently shows that this enlightening happens as the gospel is explained. As we mentioned in point 3, the Holy Spirit reasons with unbelievers. 10. Apologetics clears away some of the rubble that obscures the gospel from clear view, breaks down some of the confidence in alternative ideas, and instils a degree of humility which makes room for the gospel to be heard on its own terms. 11. Scripture expects that Christians will think through their faith to whatever level they are able. It calls us to love God with all our mind as part of our whole being (Matthew 22:37) and the way in which biblical authors build reasoned arguments shows that logic is inherently good. 12. Pop theological myths to the contrary, the story of Abraham and Isaac does not teach us to have blind faith. Abraham had reasons to trust God. God had kept faith with Abraham and his family, saving Ishmael when all hope seemed lost. God had promised that Isaac would live to be Abraham’s heir, and Abraham knew that God could bring new life to barren wombs. He could have no doubt about God’s miraculous power. 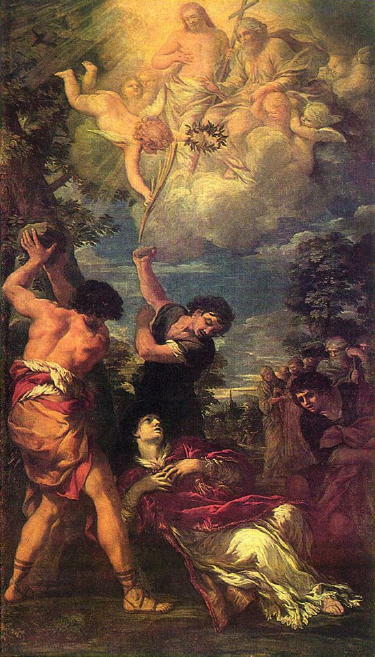 Abraham might, justifiably, feel fear on Moriah, yet he had reason enough to have a justified belief in God’s promise. As Abraham walked up the slope of the mountain he promised his servants that both he and the boy would return. 13. Martyn Lloyd Jones famously described preaching “logic on fire” and “eloquent reason”. If that is the case, every preacher should practice apologetics. Each shows that the Gospel can be presented as a compelling argument, as a persuasive reason, to turn to the Lord to be saved. And if every Christian life is to be a sermon to a watching world, we all ought to consider the reasons for the hope that is within us. 14. Apologetics is part of the process of helping people to hear the gospel. By removing obstacles to listening to Scripture and making a case for considering its claims, apologetics can help to ‘unleash the lion’. Apologetics does not arise from a lack of confidence in Scripture but from a conviction that the message of Scripture is too important for people to miss it. 15. The acolytes of doubt preach that there is something violent and oppressive in every claim to spiritual or moral truth. However, some evidence demands a verdict. Are we to say that the morality of the gulags is an open question? That the Holocaust might have been a reasonable reaction to the political situation in the 1940s? Is it a sign of humility to deny that there is something sublime and wonderful about the birth of a newborn child? The apologist teaches that there is enough evidence to know that God exists and that there is sufficient reason to place our lives in God’s hands. We cannot use the idolatry of doubt to justify indecision and intellectual cowardice. 16. Furthermore, apologetics helps us to praise God when we see that God is at the centre of a satisfying world-view. We appreciate God’s role as creator, his goodness as the foundation of morality and his love as the source of all meaning. 17.Apologetics helps us to realise that “worldly wisdom” is built on a house of cards. It frees the Christian from the intellectual fashions of a secular world and the pop-morality of soap operas. Apologetics leads hearts and minds back to God and his Word. Apologetics teaches Christians to grow up, to be mature, to seek to understand what God has said, what he has done, and how it makes a difference to how we think. 18. We might convince a person that the Christian faith is true, that she could commit her life to Jesus, and that this is the most important decision that she will ever make. However, saving faith only occurs when a person acts, committing herself to Christ. Even when someone is fully aware of the rational course of action, selfishness and pride can motivate a profoundly irrational decision. Yet, if a person cannot be argued into faith, they cannot be “preached” or “witnessed” into the Kingdom either. Apologetics is no more disadvantaged, and no less important, than any other aspect of evangelism. This entry was posted in Christian Theology, Quick Thoughts and tagged Gospel Centred Apologetics. Bookmark the permalink.